If you were sent to a deserted island for an indefinite amount of time, what would you take with you? Food? Your cell phone? Warm clothing? Well, I would, of course, want to take books and not only because I love them so much! 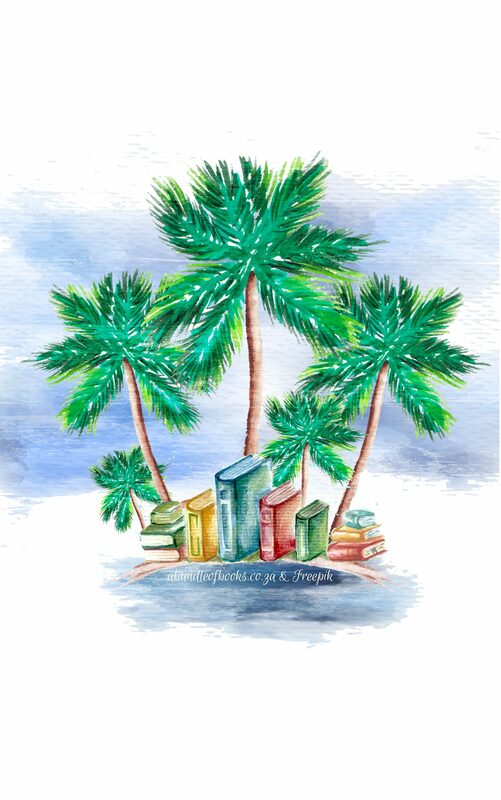 Unlike food, my books won’t run out and I’ll probably be able to find some coconuts or fruit on the island anyway. I don’t need to charge my books in order for them to work like I do with my cell phone and, considering that I’m going to a tropical island, I doubt it will be cold enough to need extra clothing. But the hard part is having to choose exactly which books I would take with me. They would have to be books I love and will reread over and over again without getting bored. 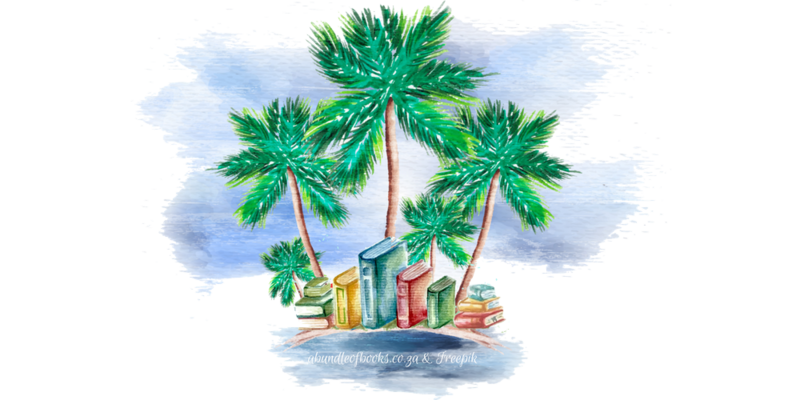 So, here is my list of the books I would take to a deserted island! 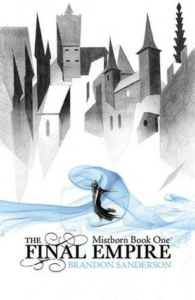 The Mistborn trilogy is by far my favourite fantasy series of all time. It is a story filled to the brim with political intrigue, scheming, magic, mythical creatures, and so much more. It is an incredibly detailed and engrossing high fantasy series that never gets boring. If I’m going to a deserted island on my own, I’m definitely going to need to read books that transport my imagination elsewhere to distract me and keep me entertained. This series has no problem fulfilling these requirements! Whilst taking the entire trilogy would be great, I would rather only take the first book, The Final Empire. This book is one of the best introductory novels in a series I have ever read, introducing the world and its characters vividly and throwing you into an intense story without building up to it too much. Its also not as dense as its sequels yet it’s still as fun and as explosive. I’ve already read this book a couple of times and each time I notice something new that I didn’t before so rereading it always feels like a new experience. Taking The Final Empire to a deserted island would keep me entertained and prevent me from going crazy from the isolation! You probably weren’t expecting me to put Wuthering Heights on this list but anyone who knows me really well knows that this is one of my favourite classics! Having studied classics for four years, I grew accustomed to reading them and fell in love with quite a few! Emily Brontë’s novel is gothic and overflowing with emotional intensity but is such a magnificent story because of these very aspects. I love stories that follow different generations of families and how they change over time. I also love gothic settings and tropes for the darkness and horror they evoke. Wuthering Heights is a novel that incorporates both of these and does an incredible job of transporting me to 19th-century Yorkshire to tell a shocking story. 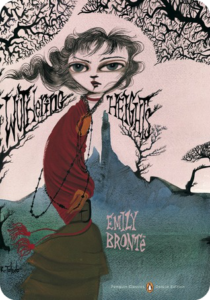 Whilst most people would probably want to take some lighter and happier reading to a deserted island, I want to take books that never cease to hold my attention and Wuthering Heights does just that. The ominous setting, troubled characters, and dramatic events of the novel create a story that I will never get tired of. This is a no-brainer for me, I would definitely bring this novel to the island with me! Lastly, another series that I adore is the Lunar Chronicles by Marissa Meyer. This series takes some of the most beloved fairytales and twists them into a science fiction story set in the future. Each book takes a different fairytale character and incorporates their story into a single overarching plot that incorporates rebellion, intergalactic warfare, and technology. The first book, Cinder, introduces the Cinderella-inspired character who is a cyborg and skilled mechanic, kickstarting the fun, fast-paced journey that eventually brings all of the title characters together. 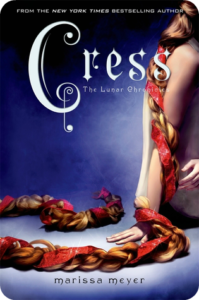 However, my favourite in the series is Cress, which is inspired by the story of Rapunzel. Cress is a hacker who is trapped in a satellite and works for the antagonist of the series. 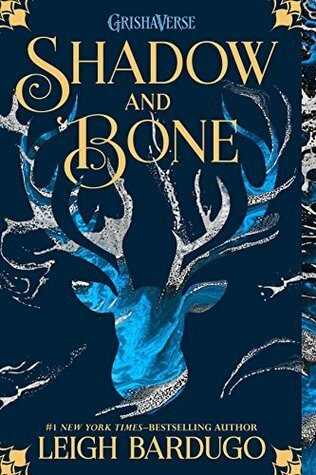 In my opinion, this instalment in the Lunar Chronicles is the most creative and grows the plot arc beyond the confines of the first two novels to bring all the characters together in a single book. 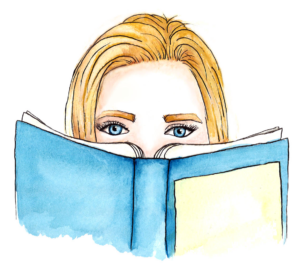 I enjoy reading fairytale retellings for the nostalgia that they ignite within me and so taking Cress to a deserted island would ensure that I have at least one book that brings a smile to my face! Compiling this list showed me that I enjoy dark stories far more than I thought I did! I’m not the type of person that reads summery, happy-go-lucky books all that often but even those that I have read are not good enough for me to take to a deserted island. If I’m going to be secluded with nothing but trees to keep me company, I’m going to need books that tell stories of worlds completely different from my own. These three books transport me to another place every time I read them and never fail to grip my attention. I don’t think I would ever get bored of rereading them over and over again! WHAT BOOKS WOULD YOU TAKE TO A DESERTED ISLAND? COMMENT DOWN BELOW AND LET’S CHAT ABOUT IT!